On March 17, a young black man named Desmond Phillips was shot and killed by police in Chico, Calif. Our town was plunged into the emotions that have been felt in so many places around the country. Many were outraged that a 25-year-old with a history of mental illness would be killed, rather than pacified in some other way. Many others were strongly supportive of the policemen’s actions, especially because the safety of children had been threatened. Since 2016, Chico Grace Brethren has been developing a new friendship with Second Baptist Church, a historically black congregation, now interracial. We were drawn together by the conviction that the racial violence our nation experienced during the summer of 2016 should not go unanswered, and that the most appropriate answer was for Christians of different races to worship together. 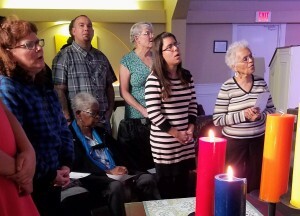 So, last December, our two churches held an advent service along with a third church, the Hmong Alliance Church, made up of Christians who fled Laos after the Vietnam War. Pastor Joseph Kiwovele, who emigrated from Tanzania, preached on the divinity of Christ from Isaiah. The Hmong believers sang Christmas carols in their own language. Grace Brethren instrumentalists jammed with Deacon Joe Person, a vocalist from Second Baptist. There were many powerful encounters that night. A young man from Grace Brethren named Jacob gave a testimony of how Christ saved him from drug addiction. Deacon Joe realized that he had been Jacob’s parole officer when Jacob had been in juvenile hall years before. The evening had begun nervously, but by the time we shared dessert it took on the atmosphere of a revival. This year, we planned another shared service for Holy Week, not realizing that the headlines would be dominated by the Phillips shooting. We watched rising animosity on social media as we planned the service. On the morning of Maundy Thursday, the day of our service, the Butte County District Attorney cleared the two police officers of wrongdoing. In this context, I was less concerned that the service would break down in acrimony than that our message would evaporate in generalities. With feelings running so high, how could we say anything substantive without giving offense to one side or the other? From the start, however, all the churches had committed to the principle that focusing on race would drive us apart, but lifting up Jesus Christ would bring us together. So, we shared a dramatic reading about Judas and Peter, reflecting on the responsibility for sin that comes upon all. Pastor Kiwovele preached about the Last Supper and the all-sufficiency of Christ’s sacrifice. Pastor David Chun, a new friend from a local Korean congregation, prayed for the advance of the gospel in our region. 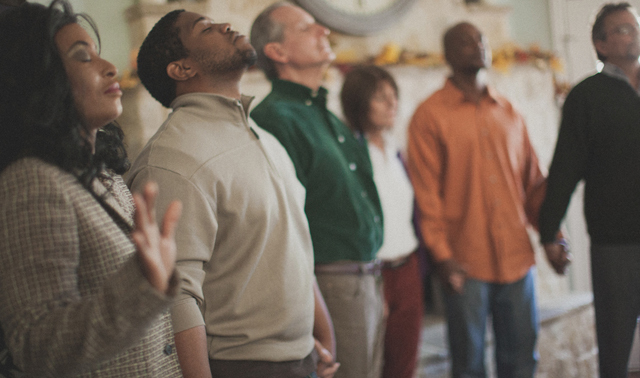 Members of the different churches began to plan for future counseling and ministry together. Deacon Joe and Jacob were in prayer after the service. Once again, what started with halting voices, grew to a rousing declaration of the glory of Christ. Unity in Christ doesn’t capture headlines. But it is real and growing nevertheless. — by Matthew Raley, senior pastor at Chico Grace Brethren Church in Chico, Calif.
Click here to send a note of encouragement to Pastor Raley and his congregation.